The fire alarm shrills, pulls me awake. The clock radio blinks 2:37. Natasha moans in her sleep, but I’m too keyed up to sleep, dreaming of our new life. I pull at her blanket as the alarm goes silent. She burrows; I put my head on my pillow, sink my consciousness far from the chill of Toronto into the waves of the Indian Ocean. She slurps her coffee. “First Tamil proverbs from Mr. Jayaraman and now it’s vow recitations? OK, what about the dance at the wedding? Remember The Beach Boys? Remember “fun, fun, fun till daddy takes her T-bird away”? You’re not taking my T-bird away. You fly off, expand your mind in Sri Lanka, teach those kids English. Me, I’m staying. I’ll buy red stilettos today.” The suitcase crashes; her clothes spill out. She does not look back before she slams the door. He leaves after eleven, after many cups of tea. Twelve days till we fly. I am drifting off with a dictionary and Tamil phrases in bed when Natasha stumbles in, smelling of beer and cigarettes. I don’t ask where she’s been. She does not speak. Through the open bathroom door I watch her spitting out pink toothpaste, its trickle down her chin. I long to touch her. “I’ll sleep on the couch,” she says. “Natasha, I can…” Her look freezes other words. She pulls a packet of cigarillos out of her purse, lights one, blows smoke towards me. I cough. There’ll be no screeching of fire alarms in the wee hours tonight, I want to say. Mr. Jayaraman told me he’d disconnected them. But in the thundering silence between us it does not seem important. “Is it safe?” I had asked. “To the timid the sky is full of demons. We all sleep better tonight.” I straighten my sheet, turn to the wall. In the living room I hear coins spilling, a giggle, then a snore. No sleep for me, I am sure, as I toss, alone. But I do dream after all of soaring above a Sri Lankan countryside, children and women singing, breaking twigs, feeding a bonfire. I wake with a pounding head; I smell smoke, vomit. “Natasha? Natasha?” Light switch flip does nothing. I run into the living room. The couch is empty. Did I dream her? I scurry from room to room, even open a closet, searching. I hear screams outside our apartment door, wailing. Sirens blare as I run outside. “Have you seen my wife?” I yell at Mr. Jayaraman on the sidewalk. “She was carrying a suitcase, heading that way,” he points with his head. “Only one shoe on.” I look. The street is empty. Neither of us mentions Natasha. When I ride on top of that elephant in Colombo, I expect she will streak by in her T-bird, hair shimmering in the wind. Andrew Stancek was born in Bratislava and saw Russian tanks occupying his homeland. 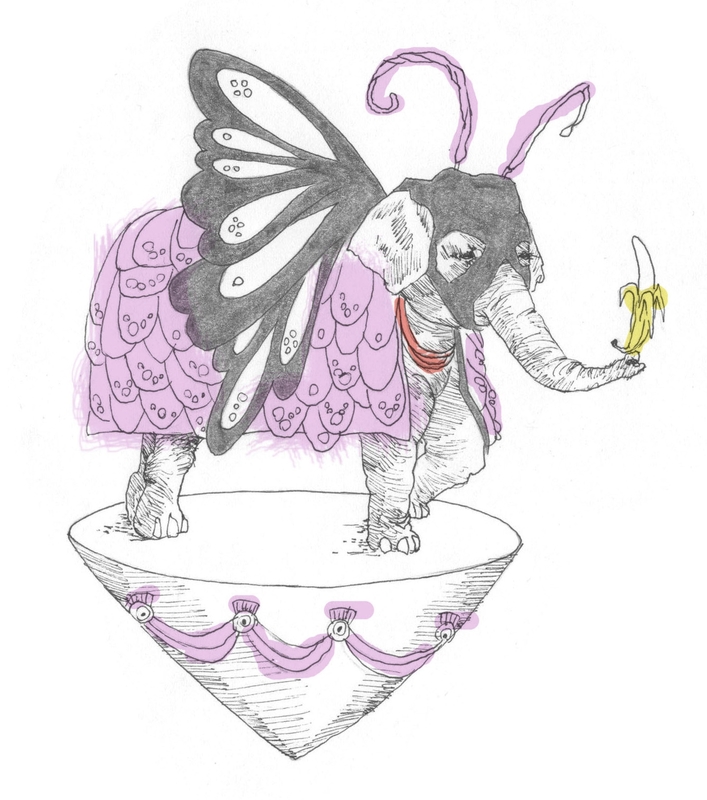 His dreams of circuses and ice cream, flying and lion-taming, miracle and romance have appeared recently in Tin House online, Flash Fiction Chronicles, The Linnet’s Wings, Connotation Press, THIS Literary Magazine, Thunderclap Magazine, Istanbul Literary Review and Pure Slush. Read an interview with Andrew here. Beautiful story, Andrew! Love that Natasha!